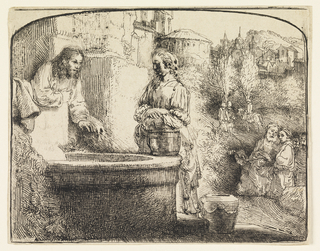 The arched print depicts Christ and a woman standing beside a well at left. Group of figures at lower right and in background. Foliage and houses in distance.